While on a weekend getaway to Nashville I spotted this statue downtown. 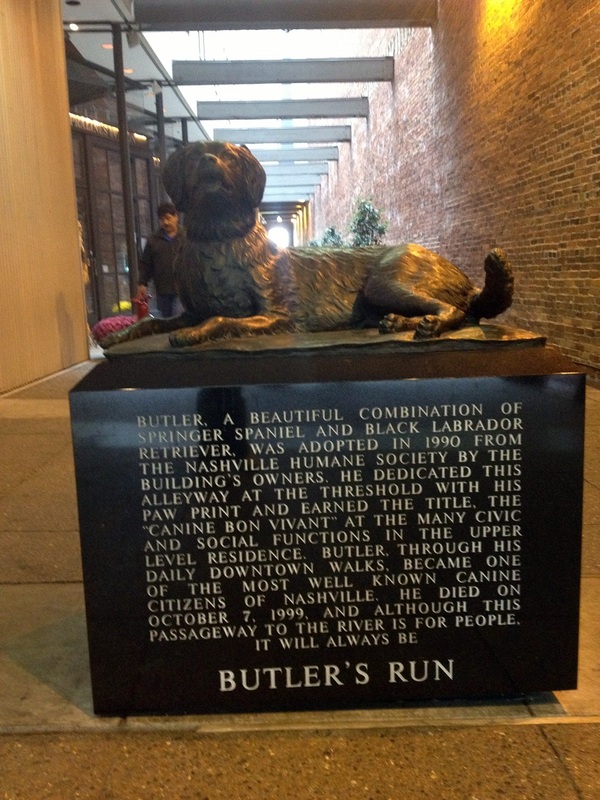 It recognizes a shelter dog who became a much-loved canine citizen as he made his daily rounds of the downtown area for nine years. Kind of cool that he’s honored this way, and everyone who stops to read the inscription is reminded of the many dogs in shelters waiting for their forever homes. « Review: Waterfowl Festival in Easton, Md.